From left: Anggie Ramirez Perea, Stephanie Martins and Shannon Pluhowsky. Photo: PABCON. 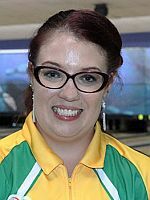 For Brazil’s Stephanie Martins, two significant changes have elevated her game and confidence, and she showed her progress Tuesday as she claimed the singles gold medal at the 2018 Pan American Bowling Confederation Women’s Championships in Santo Domingo, Dominican Republic. 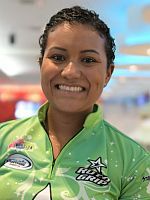 The 27-year-old right-hander (featured photo) secured her first medal in adult international competition with a record 1,518 six-game total at Sebelen Bowling Center, a 253 average. 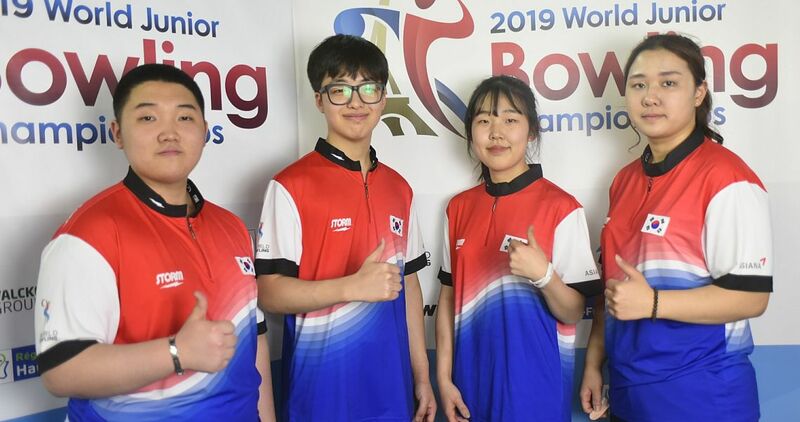 She bowled on the day’s opening squad, then had the title mathematically locked up with two games to go on the second, and final, squad of the day. 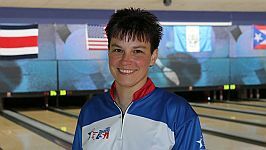 Martins, who had games of 226, 221, 279, 279, 245 and 268, was followed in the standings by a pair of left-handers. 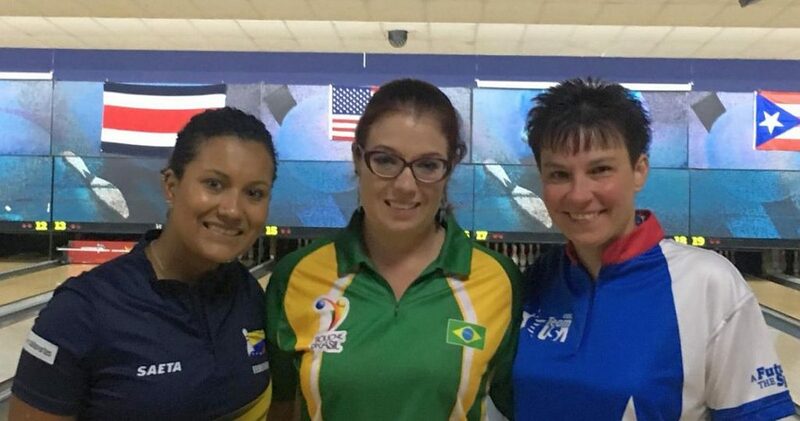 Colombia’s Anggie Ramirez Perea (left) claimed the silver medal with a 1,410 total, and Team USA’s southpaw, Shannon Pluhowsky, earned the bronze medal with a 1,405 set. 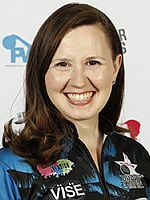 Singles first was contested at the tournament in 1981, and Martins’ effort was the highest singles set in tournament history by any competitor, man or woman. Bill O’Neill of the United States owns the overall six-game record at the PABCON Championships with 1,560, posted during trios at the 2011 tournament in Mexico. 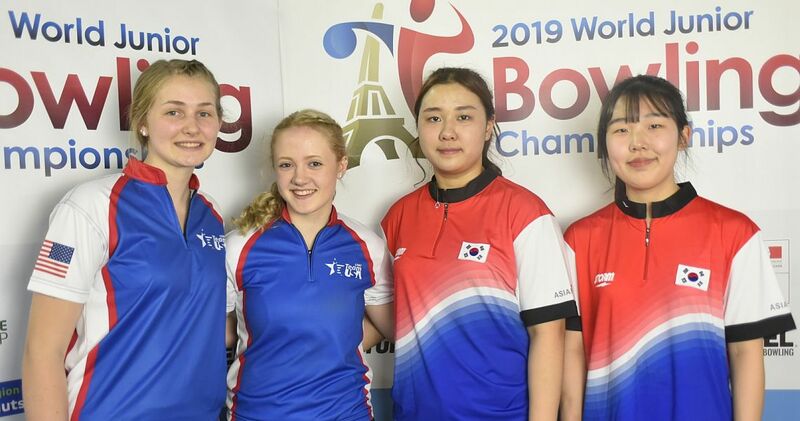 Defending champion Missy Parkin (right) of the United States made a run at the medal stand, too, but fell short, finishing fourth with 1,358. She claimed the women’s singles title at the 2016 event in Cali, Colombia, with 1,437. 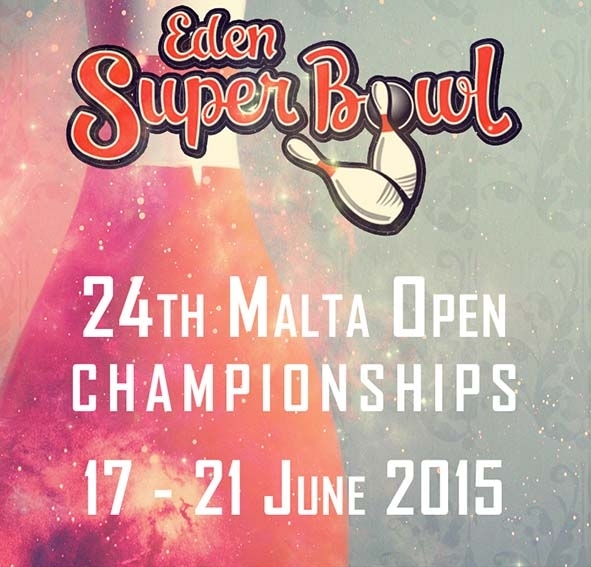 This year’s singles medal ceremony will take place Friday, along with the medal presentations for doubles and trios. 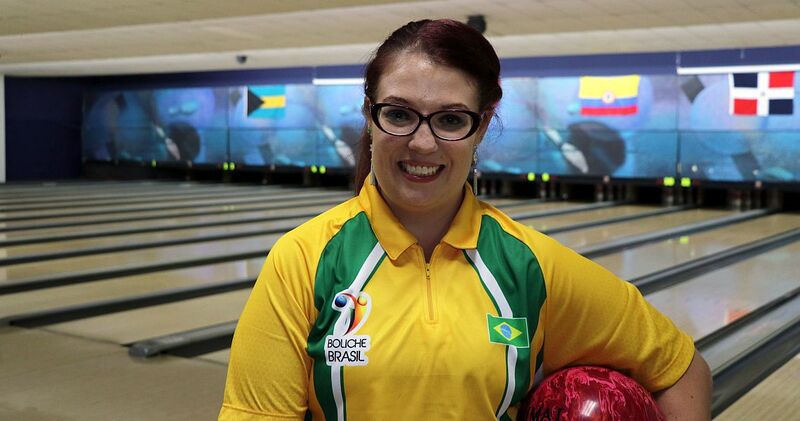 Without the watchful eyes of the experienced coaches she worked with at Webber, Martins was on her own to keep her game moving in the right direction, so she could find success on the Professional Women’s Bowling Association Tour and while representing Brazil on the lanes. 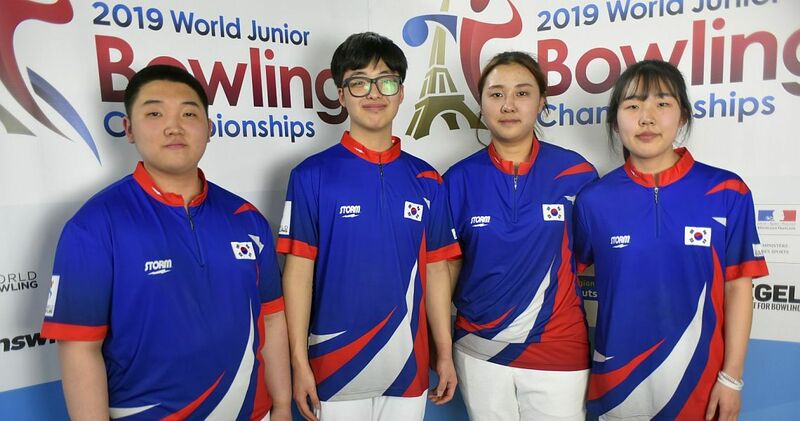 The field this week features 51 competitors representing nine countries – Bahamas, Brazil, Canada, Colombia, Costa Rica, Dominican Republic, Guatemala, Puerto Rico and the United States. 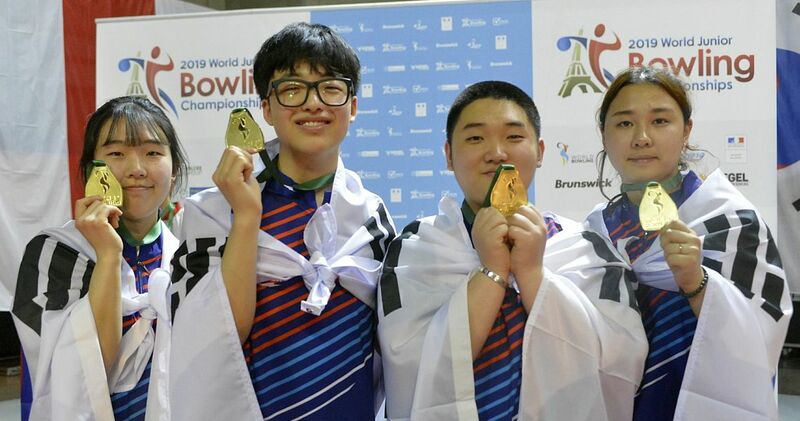 Competition continues Wednesday with six games of doubles, and medals also will be awarded this week in trios, team, all-events and Masters match play. 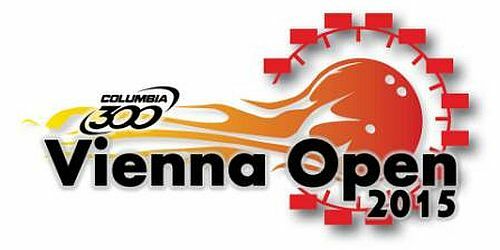 Colombia’s Clara Juliana Guerrero and Rocio Restrepo are the defending champions in the doubles event. 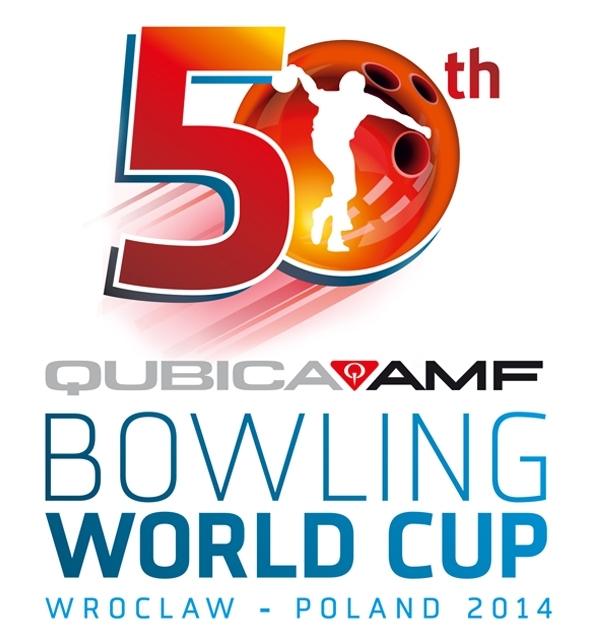 The 2018 PABCON Women’s Championships is being contested on the 36-foot World Bowling Stockholm oil pattern. 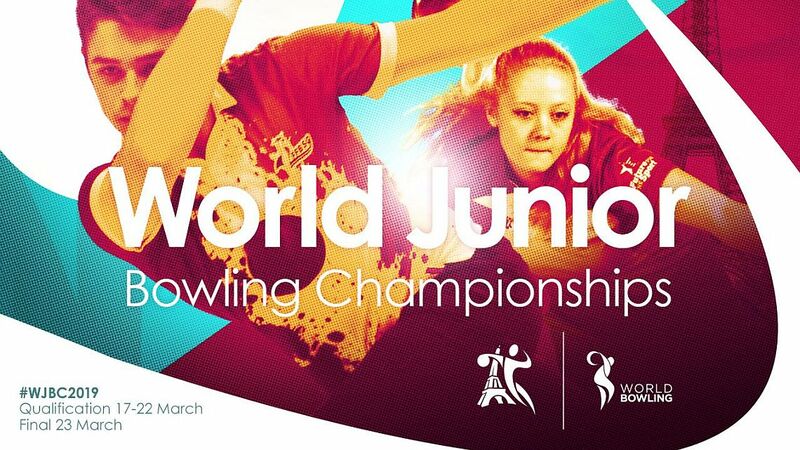 For more information, or to follow the scores from the PABCON Women’s Championships, click here. Photos courtesy of Matt Cannizzaro, USBC.